Scroll down to get to the updates and links!! St . Leo's is expecting!!! Well.. sort of... St Leo's has begun a Spiritual Adoption! during the month of June. We will pray from his or her conception until birth. we will meet him or her someday in heaven! and beyond, and also that they will love and cherish their most wonderful gift from God! 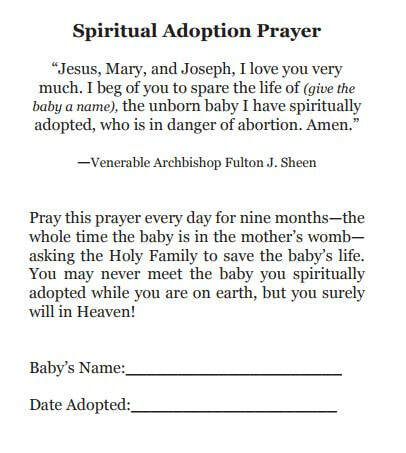 whether its your own "spiritually adopted" baby or the parish's. It's so exciting when we find out that God has blessed the world with another life!! ​This spiritual journey is going to be fun, educational, exciting and ​full of grace. to help us understand and embrace this journey. 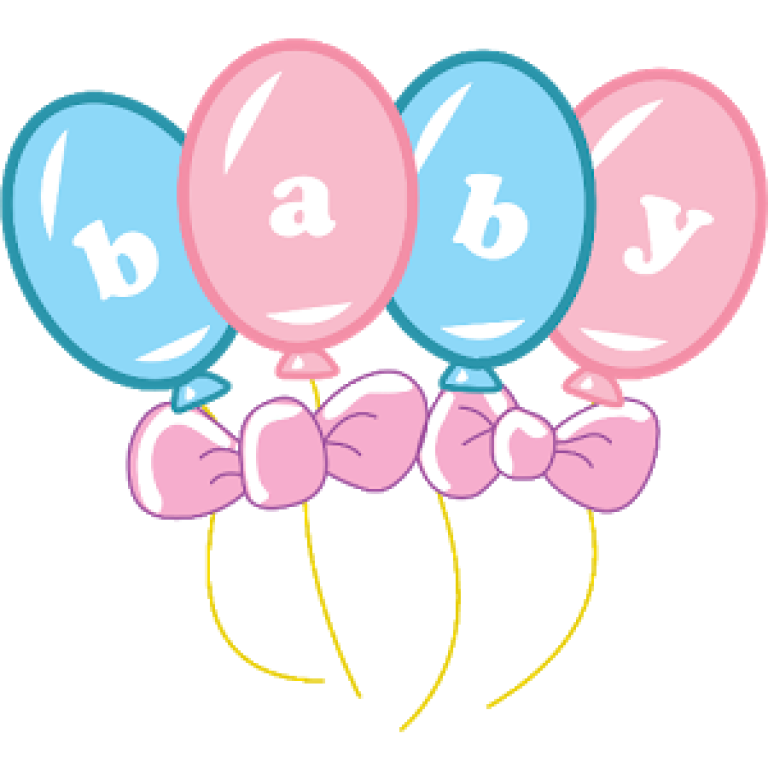 ​you'll also be blessing this wonderful bundle of joy! including service projects and, of course, through praying. In case you aren't clicking on the timelines, here's this weeks update video..
You can watch the other videos on the Holy Hero's page or click on the timelines (the mustard yellow rectangles) and it will take you to their Youtube channel to watch it. Here is an additional prayer which you may want to pray sometimes. 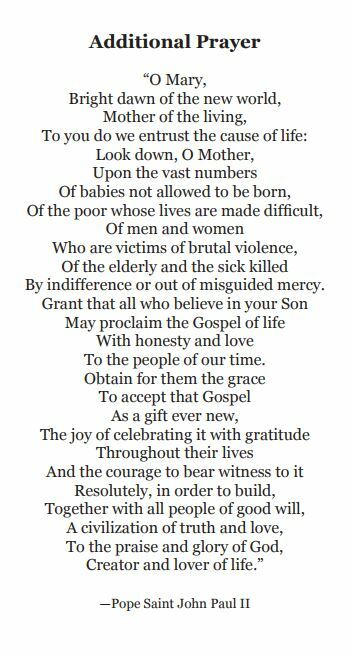 It is from Pope Saint John Paul II, and comes from his encyclical The Gospel of Life. HAPPY BIRTH DAY TO OUR SPIRITUAL BABY!!! !